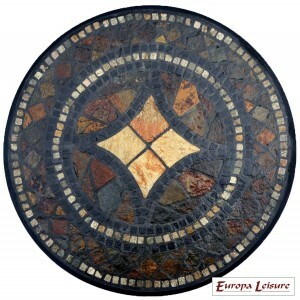 The Torello table is made from cut natural stone, being natural stone every top will vary in shade. 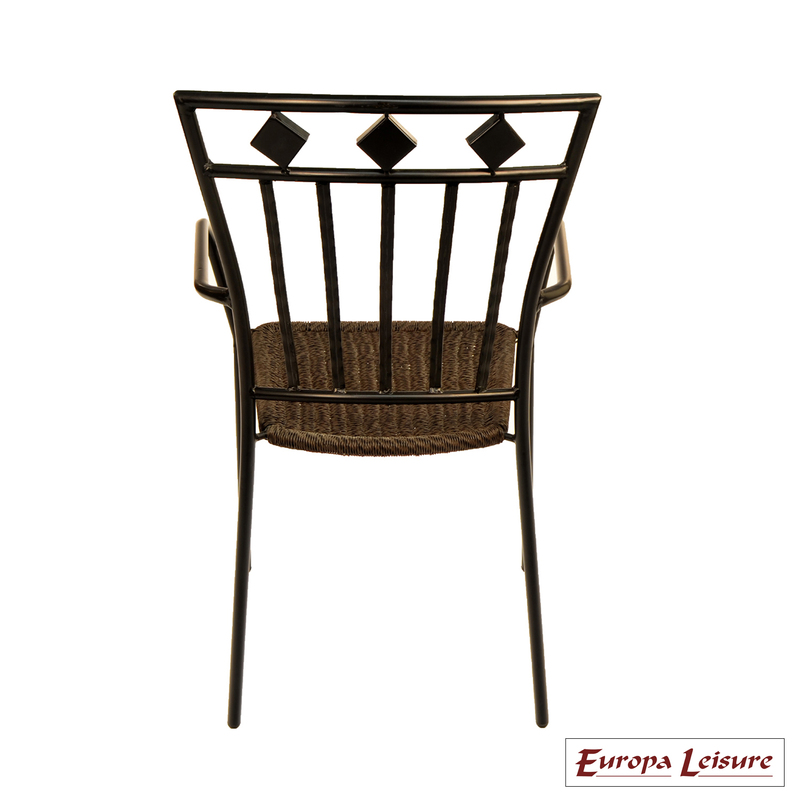 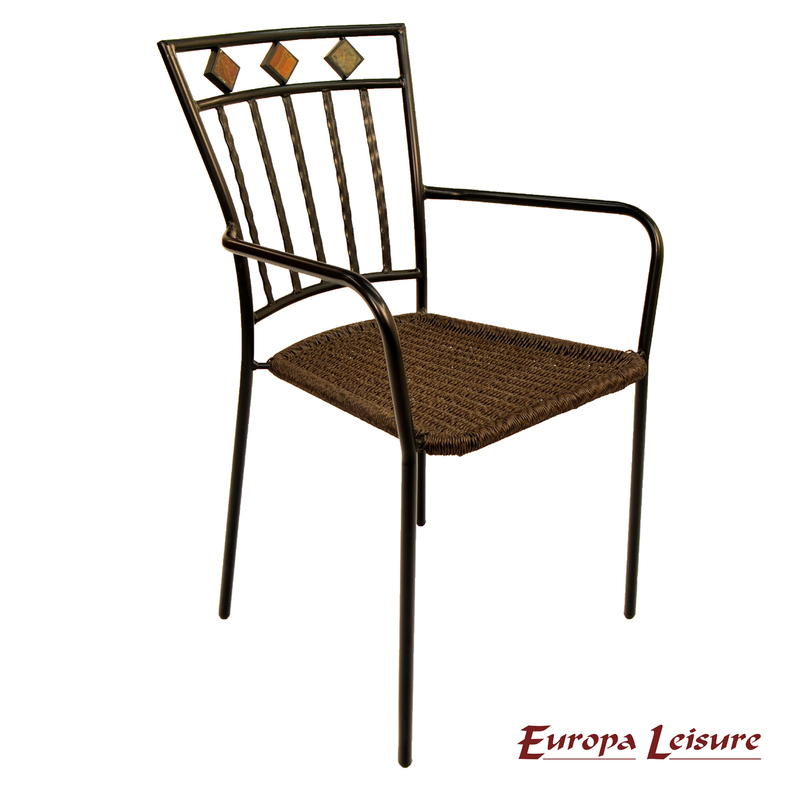 The Malaga chair has a black frame to match the table frame and legs, the back rest incorporate 3 stone diamonds across the top. 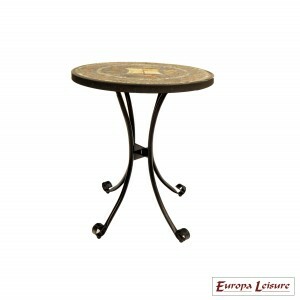 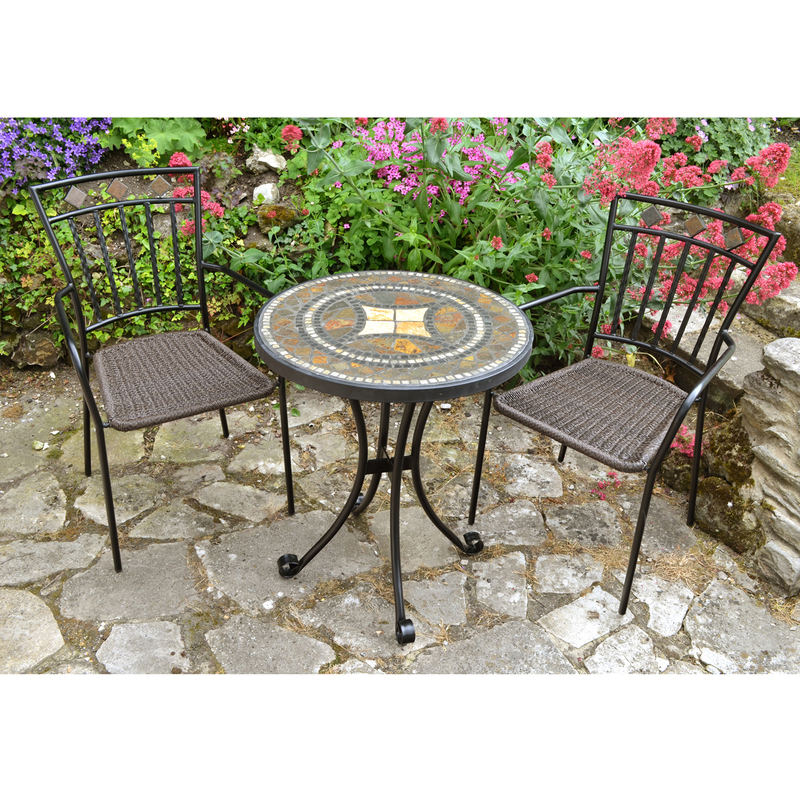 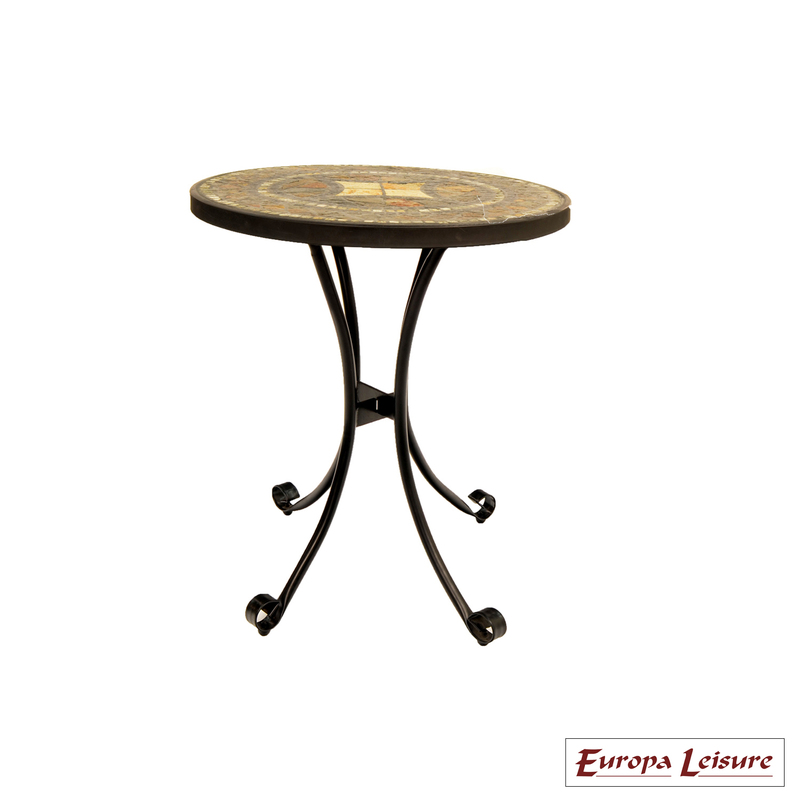 Our Torello bistro table with Malaga chairs set is perfect for a cup of coffee in the garden. 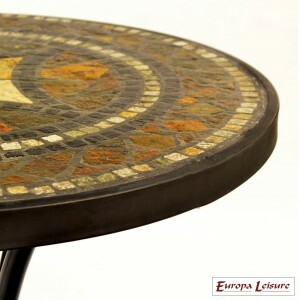 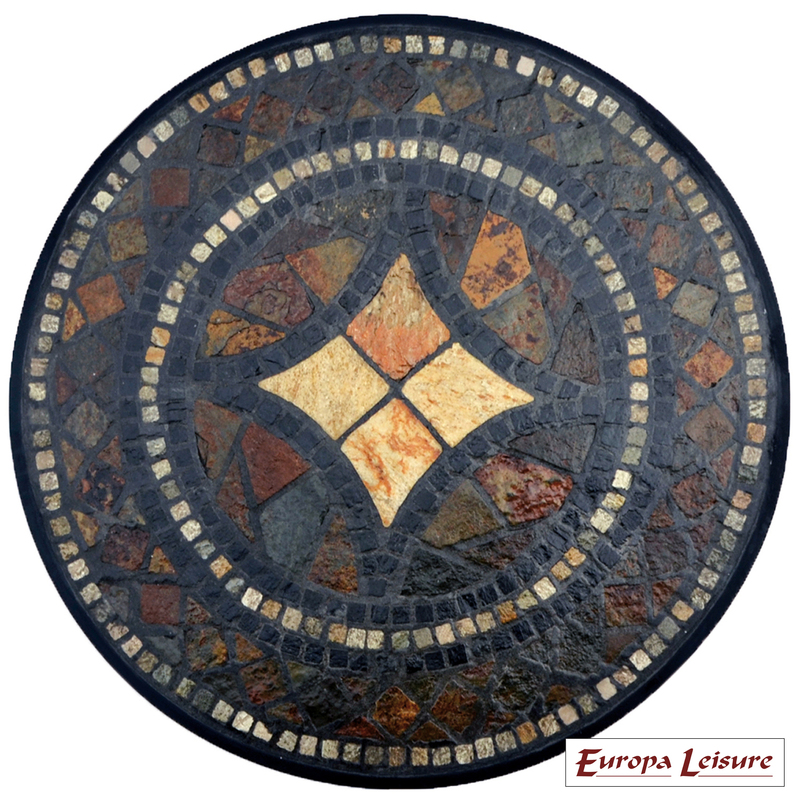 The table is 60cm and is hand made with beautifully crafted mosaic riven stone, it has a steel rim and legs finished in black powder coating. 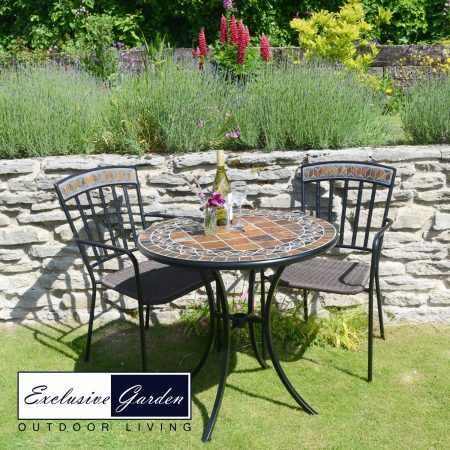 With just a little care this garden table and chair set will last for years. 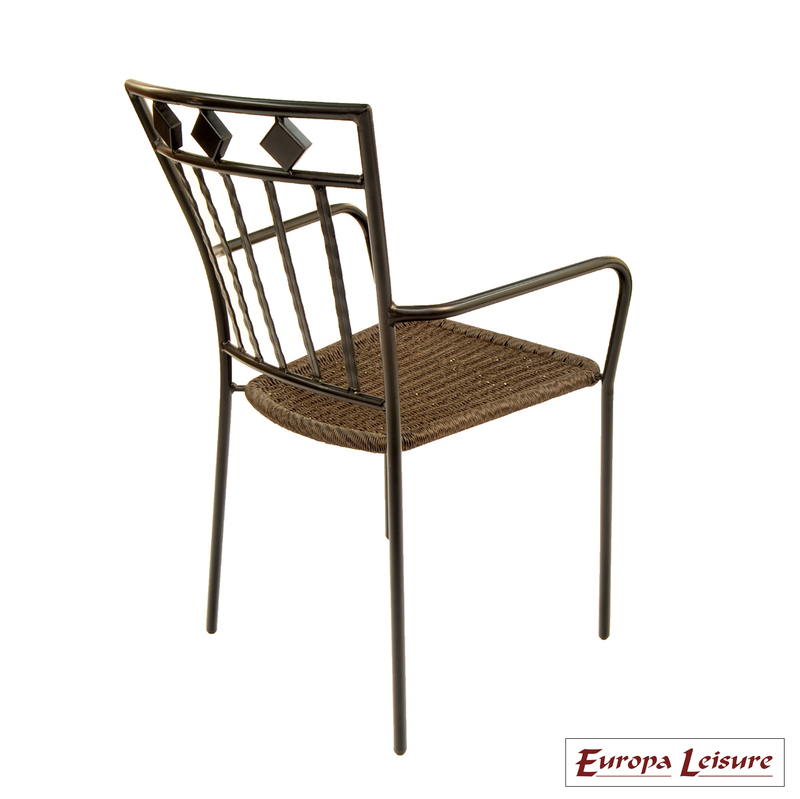 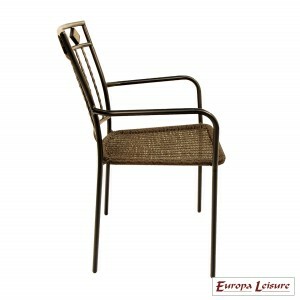 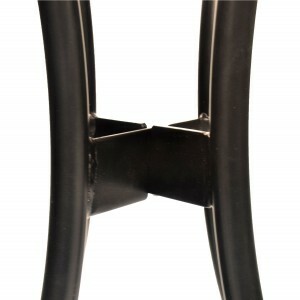 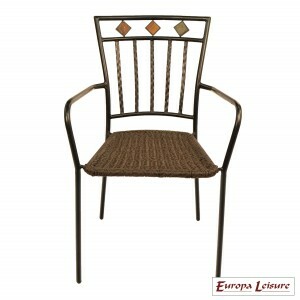 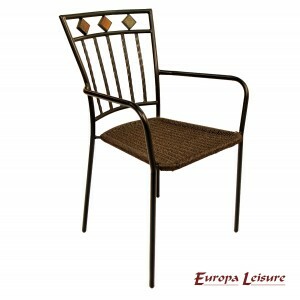 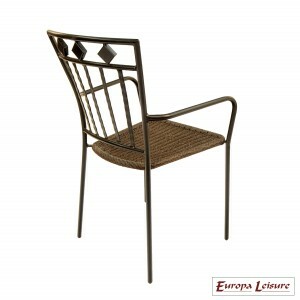 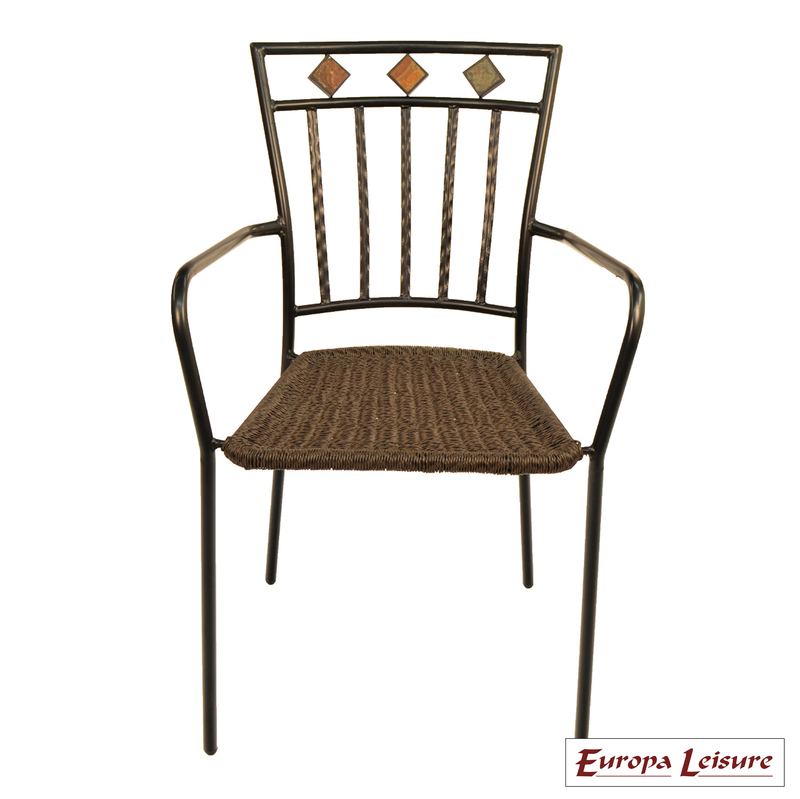 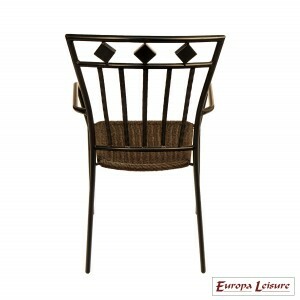 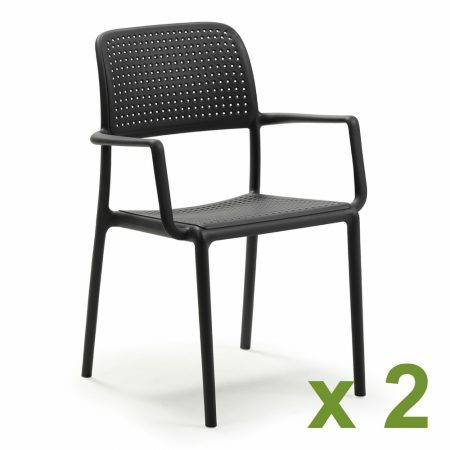 The Malaga stacking chair is also made of tubular steel and finished in black with a weather wise wicker seat. 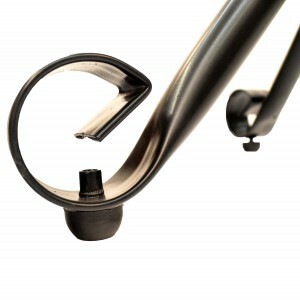 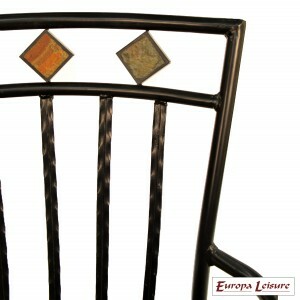 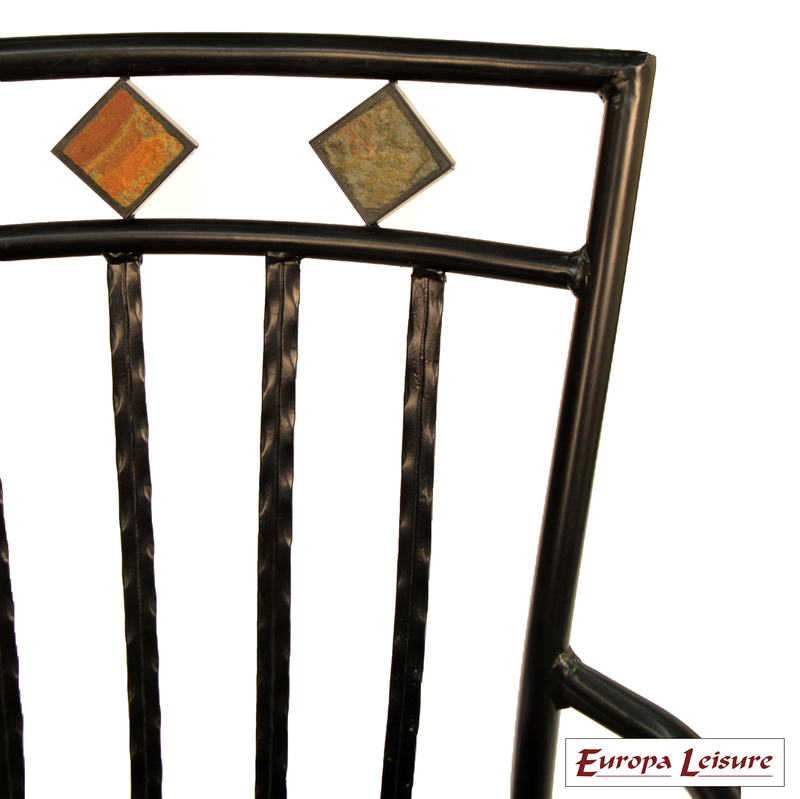 The back rest incorporates 3 diamond shaped slate stone which match the table. Together this garden table and chair set will enhance any garden, patio or apartment balcony!